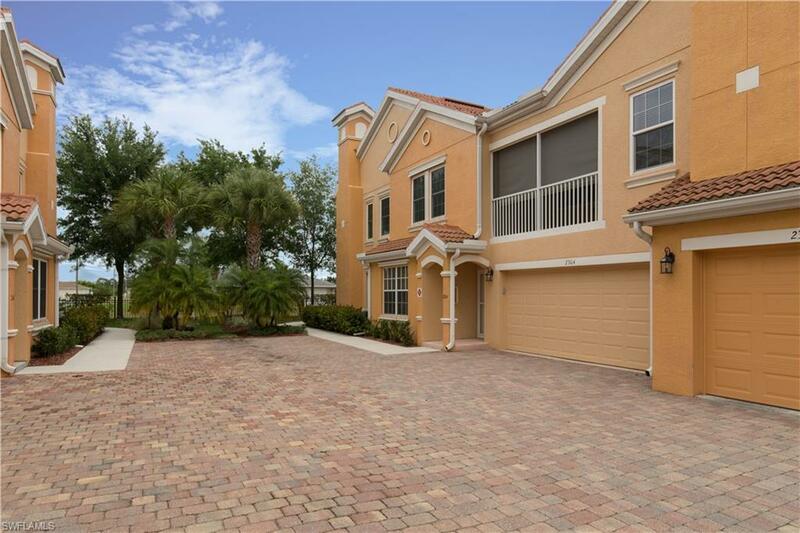 IMMACULATE, 3 BEDROOM, 2 BATH CONDO WITH 2 CAR GARAGE IS MOVE IN READY...FEATURES UPGRADED HURRICANE WINDOWS ALONG WITH A MOTORIZED HURRICANE LANAI SCREEN. Two car side-by-garage. Quietest Unit in the community. NEW air conditioner ultraviolet protection. The condo has hand scraped hickory hard wood floors. NEW stainless refrigerator, stove, dishwasher and microwave. New washer and a NEW hot water heater. Bathroom have been renovated with travertine tile and thick upgraded glass shower door in master. The kitchen features a granite sink to accent the granite counter tops. Master bathroom has a separate walk in shower with UPGRADED SHOWER DOOR and a separate tub. Interior designs include custom crown molding, texture wall finishing. NEW lighting and fans,epoxy garage floor, new tile in entry way and laundry room. New screen door. Countless upgrades. 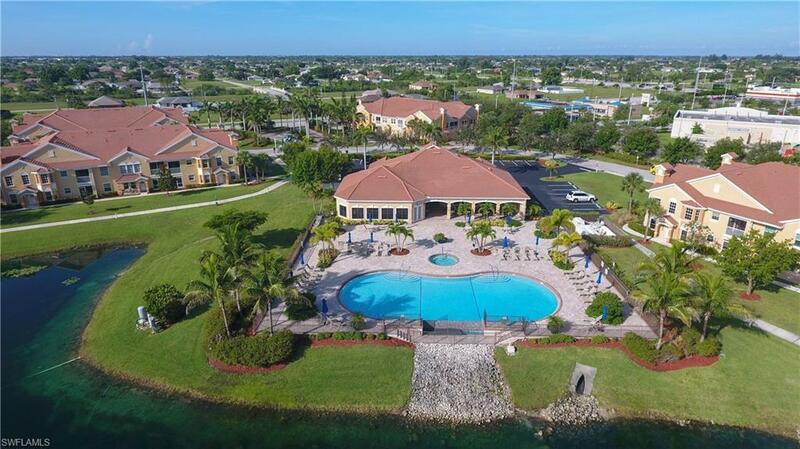 Low monthly association fees that include basic cable, water, Geo thermal heated swimming pool with an infinity edge, separate spa, clubhouse with a well equipped fitness center and so many more added benefit. 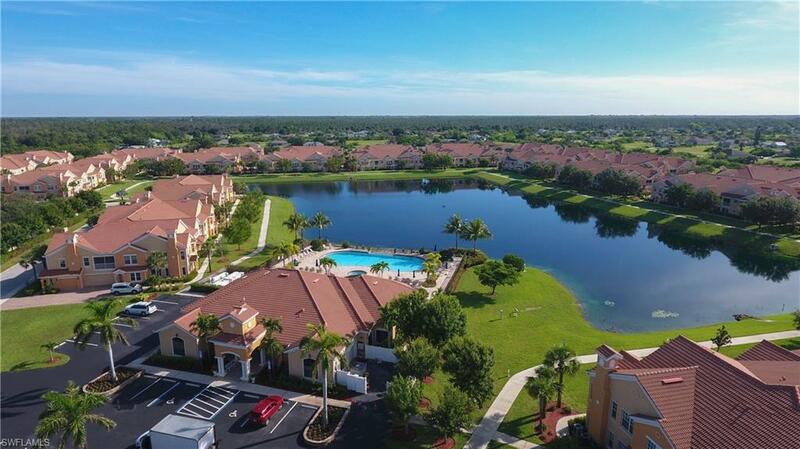 Exterior items to enjoy are walking paths around a 5 acre lake with a beautiful fountain. Stocked lake. Catch and release. Listing courtesy of Charlotte Disilvestro of Rossman Realty Group Inc.